Republic Wireless today said it has added nine modern smartphones to its lineup of Android devices. The new phones include the Samsung Galaxy S7 Edge ($799), S7 ($699), J3 ($179), and S6 ($549); the Nexus 6P ($499) and 5X ($349); and the Motorola Moto X Pure Edition ($349), G4 ($199), and G4 Plus ($299). Republic customers can pay full price for the handsets, or elect to pay via monthly installments that range broadly from $11 to $48, based on the cost of the phone. Consumers who already own one of these unlocked handsets can pick up a Republic Wireless SIM card starting August 11. 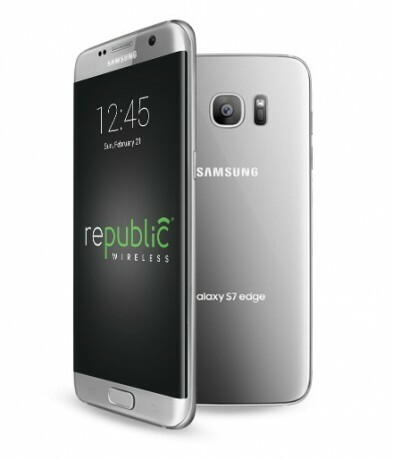 Republic's service plans start at $15 per month, which includes unlimited calling, texting, and WiFi data. Plans that include cellular data cost $20 per month for 1 GB, $30 for 2 GB, and $45 for 4 GB. I was hoping they would add new handsets or the ability to just buy a sim if you already have one of those, and nobody can beat Republics plans for $15 or $20. Not Straight Talk, not Cricket, and not Metro. Ting is debatable but they charge more than republic for a gig of data so we shall see come August.